I added random tilled backgrounds which will be randomly chosen in roughly 30% of the battles. Other major change is related to scenarios – there is now “version 2″ which allows parallel goals definition and activation/deactivation of defined goals on success or fail. This will allow much more complex scenarios. Patch with several big changes – Lukas, who is helping me with the game for a long time, prepared tutorial scenario, which will help new players to learn the game :-). 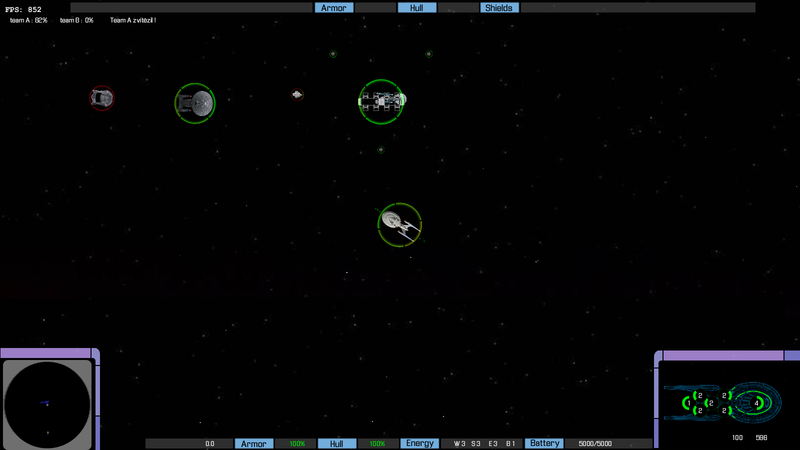 Secondly I prepared a “fleet control panel” accessible via F5, where you can have limited control over allied ships. But first you need to take command of the fleet by pressing the “flagship” button. Then you can give orders to hold, engage, follow, guard or retreat. More orders will follow later. 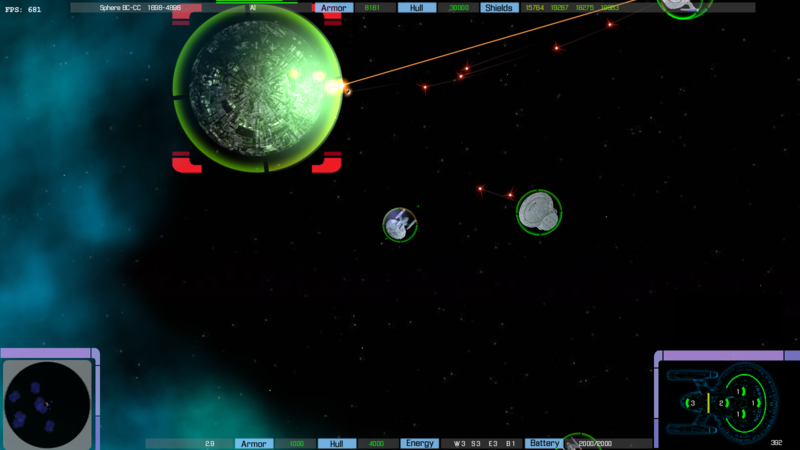 Lastly – it is now possible to modify subsystems for ships in scenario. I also prepared new link for download, so that new players do not have to download version 0.64 and then a lot of patches. Today just a data patch (so no changes in code). I added some ships, some variants of ships, some new textures – see patchnotes. BTW As a lot of players might not be aware – some ships have variants. If you hold CTRL when clicking on a ship in lobby, you will enter a submenu and you can choose among variants of the ship class. Some balancing related to retreating ships. Ships, which deplete primary ammunition (e.g. quantum torpedoes) switch to secondary (e.g. photon). 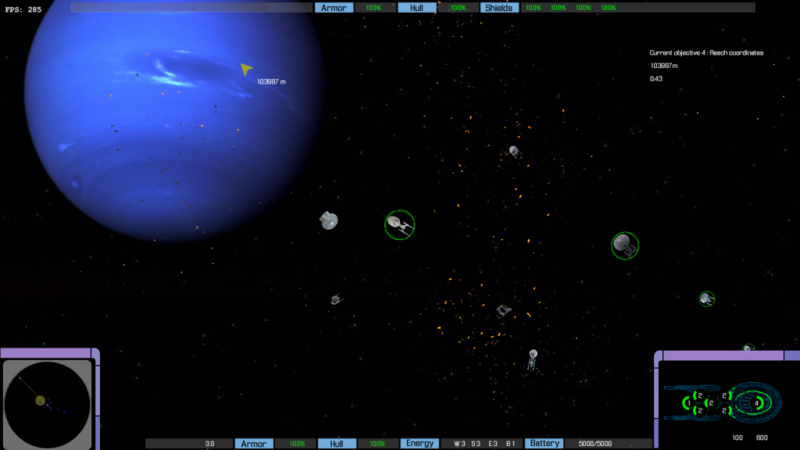 New asteroid map And some new scenarios. This time I added a feature which I considered for a long time – manual targeting by mouse. You can fire by left and right buttons. But most importantly this helps when firing tricobalt torpedoes (currently only on Akira – switch by pressing E) Because you can then fire on precise location, where you want the torpedo to detonate. In addition to that, you can also activate mouse steering by F4. 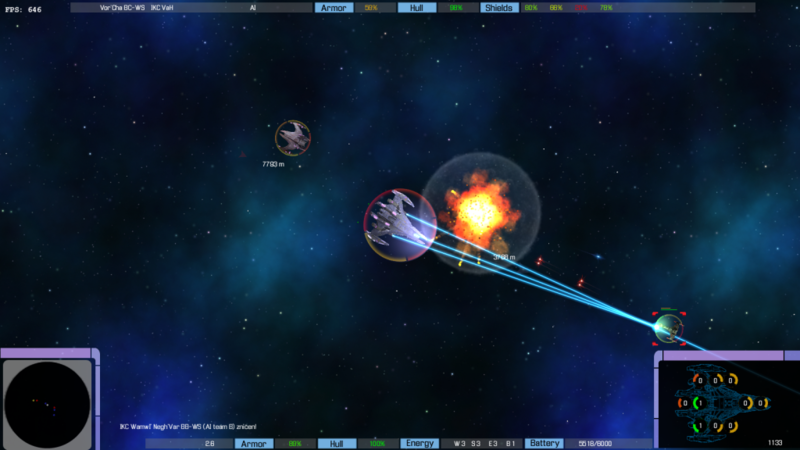 There is also some improvement on AI – it should evade dangerous nebulae and in some situation retreat. 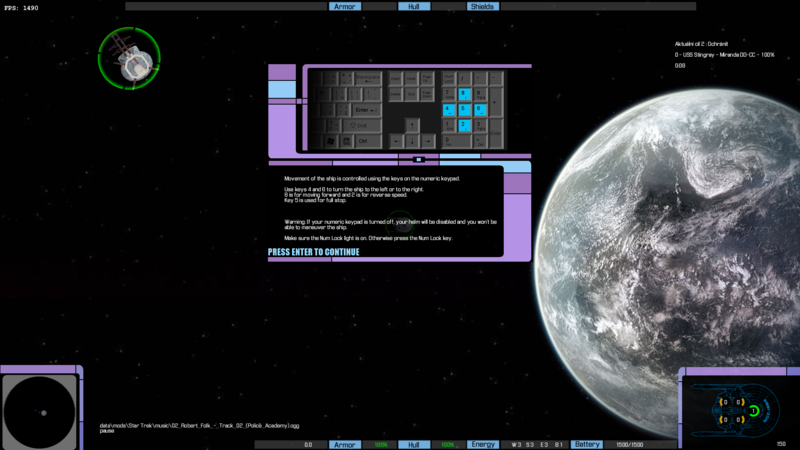 I added a “screenshots of the day” feature Addes few ships. 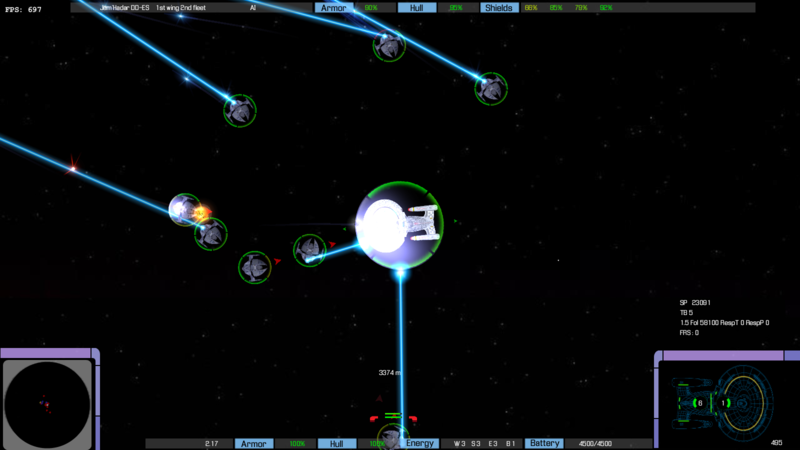 Some changes for scenarios – targets of goals are now defined by ship names and not numbers. I also updated the launcher, but the changes are irrelevant for common player. 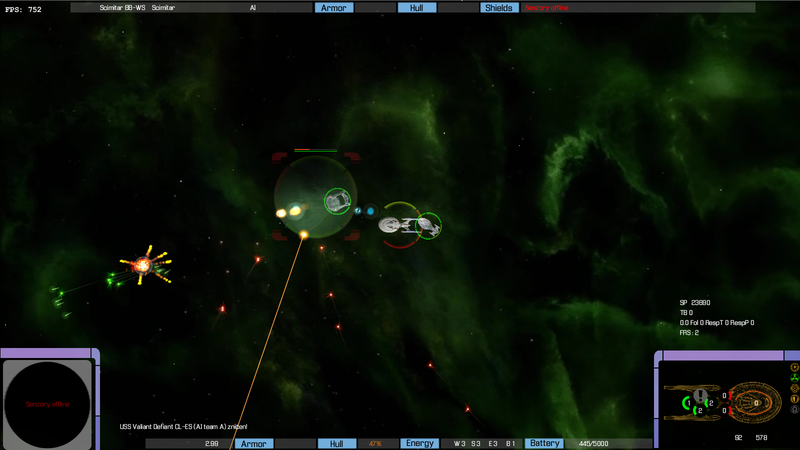 New functionality for scenarios : modifying objects. 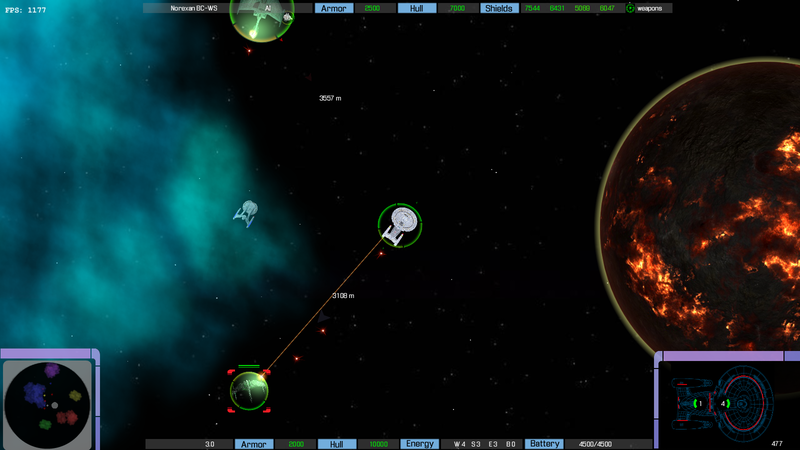 Referencing by name you can modify ships coordinates, status, target, disable AI etc. I also added two effect for adding ships : decloak and warp. So added ships do not appear “in thin air”. 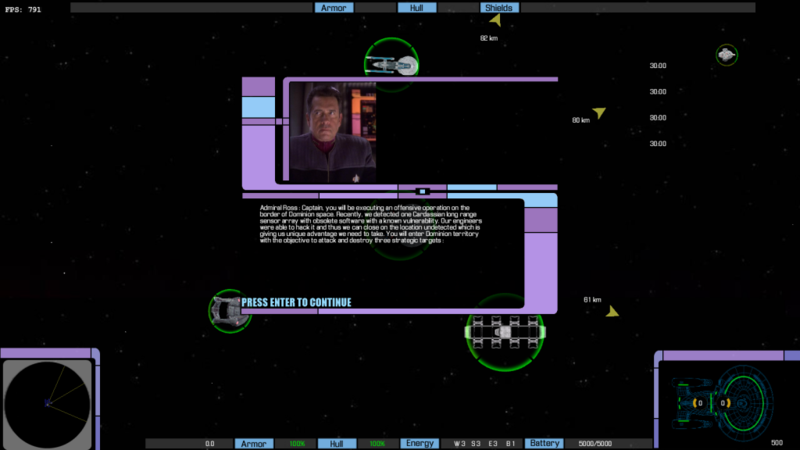 You can check the decloak effect in the scenario “The defector” (based on the TNG episode). I added also a betaversion of “Way of the warrior” DS9 scenario, so you might check that out. There is another important change – ships now start with primary weapons fully charged and secondary weapons half charged. It looks more realistic in many situations (the Defector scenario being one of them). It also shifts the balance a bit towards ships with more powerful torpedoes (because now they get them half charged on the beginning – saving some 20 seconds). 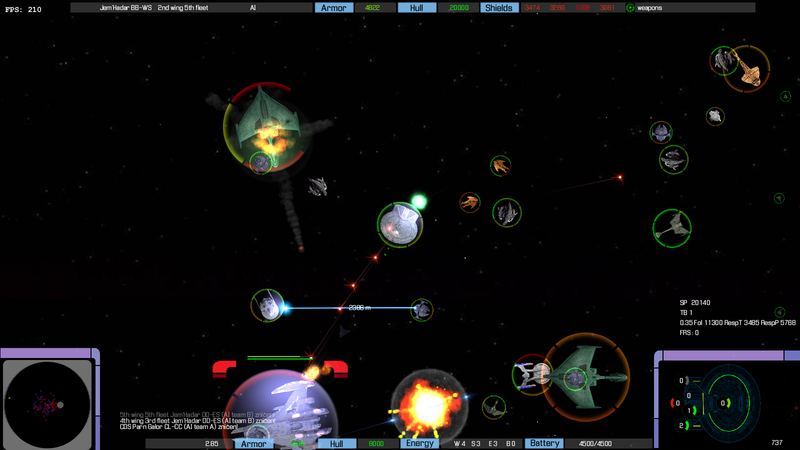 If you remember – in FW2 all ships started with all weapons fully charged. 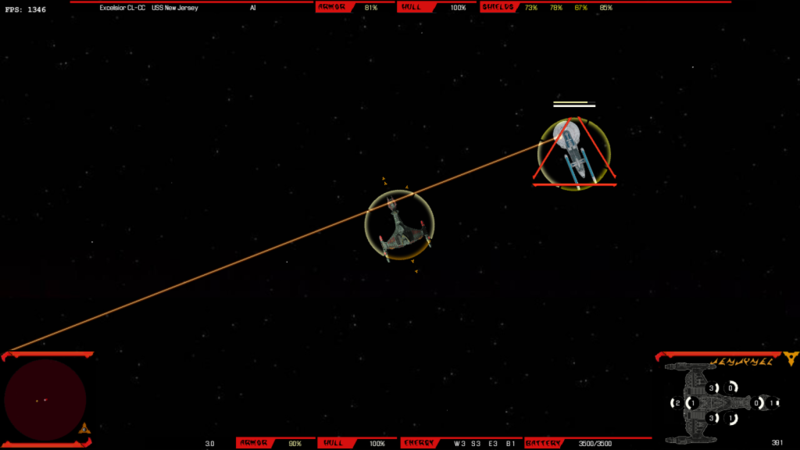 Another new feature is kamikaze – based on faction settings (status of team, status of ship and overall probability) ships can decide to go on collision course and ram the target, doing considerable damage. As seen in many situations – especially by Jem’Hadar. And one more thing – I created separate user config file, so from this version forward, your saved config (resolution etc.) should not be overwritten when new patch arrives. Check patchnotes for the rest and more details.